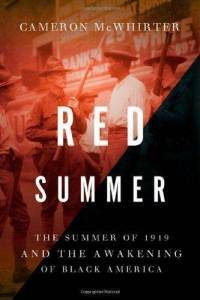 Wall Street Journal reporter Cameron McWhirter joins us to discuss his new book Red Summer: The Summer of 1919 and the Awakening of Black America. The year 1919 included some of the bloodiest acts of racism of American history, including at least 52 lynchings and 25 riots in the summer alone. McWhirter’s book describes how climate of violence spurred African American communities to organize against racism, and how the organizations and strategies formed then were precursers to the Civil Rights Movement.